For 2.99 BGN per month you get 100 MB at maximum speed and unlimited minutes to numbers in the mobile network of Telenor. You can add an add-on “B Web&Call” to your postpaid plan by visiting one of the centers of the commercial network of Telenor or contacting your sales representative. The add-on is activated after receiving SMS confirmation and the amount of the subscription is automatically included in your monthly invoice. If you decide to deactivate an add-on “B Web&Call”, you can do it by visiting one of the centers of the commercial network of Telenor or contacting your sales representative. If you deplete the additional megabytes at maximum speed in add-on “B Web&Call S”, you can activate one-off add-on “B GoWeb Turbo S”, which includes additional megabytes at maximum speed. The one-off add-ons for mobile internet “B GoWeb Turbo S” are available only for customers of business postpaid plans who have activated an add-on for mobile internet “B Web&Call S”. The purchase of an add-on “B GoWeb Turbo S” is executed at http://turbo.lp.telenor.bg through your phone number. „B GoWeb Turbo S“ add-on provides 100 MB at maximum speed at a price of 2,99 BGN without VAT. There is no restriction for the number of purchased add-ons “B GoWeb Turbo S” as the purchase of another add-on can be performed only after the depletion of the megabytes included in the previous one. No “B GoWeb Turbo” add-on could be purchased on the day before billing. The megabytes included in “B GoWeb Turbo S” are at maximum speed and are valid until the end of the billing period of the purchased add-on. After depletion of the included MB at maximum speed, the connection speed is decreased as per the terms of the activated “B Web&Call” add-on. Add-on “B GoWeb Turbo S” works only through Access Point Name (APN) – telenorbg. Traffic in roaming is charged as per the applicable price list. The MB at maximum speed, which are not depleted during the billing period, cannot be transferred to the following one.. The minimum initial charging is 5 KB, and the subsequent charge for data traffic is 1 KB. Add-ons with included mobile internet and unlimited minutes to mobile numbers in the Telenor network are available for customers of business postpaid plans without included mobile internet. Add-ons for mobile internet “B Web&Call” are not available for customers of prepaid services, postpaid plans with included mobile internet and postpaid plans for home phone from Telenor. In case the customer has already activated an add-on for mobile internet GoWeb Unlimited or GoWeb Business, this add-on will be automatically deactivated upon activation of an add-on “B Web&Call”. If this is not technically possible, a submission of a supplementary application for deactivation may be needed, as the customer will be notified in advance. 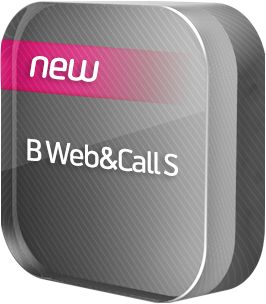 The “B Web&Call” add-ons are termless and can be deactivated at any time as no forfeit fee is applied. The monthly subscription fee for a selected add-on “B Web&Call” is invoiced and paid per month, together with the services under the contract for mobile services for the SIM card/ mobile number to which the add-on has been activated. For the period, starting from the activation/ deactivation of an add-on “B Web&Call” until issuing of the next invoice a proportional monthly fee is applied and a full number of MB in the add-on is provided, regardless of the days remaining until the end of the billing period. The MB at maximum speed, which are not depleted during the respective month (billing period), cannot be transferred to the following one. The internet traffic in Bulgaria is realized only through Access Point Name (APN) – telenorbg. Traffic in roaming is charged as per the applicable price list. The unlimited minutes to mobile numbers in the Telenor network can be used after the depletion of the included minutes for calls, if the customer uses such ones in the postpaid plan and/ or other add-ons. After depletion of the included MB at maximum speed for the respective month (billing period), for add-ons “B Web&Call S” or “B Web&Call М” the connection speed is reduced to 64 kbps, and for add-ons “B Web&Call L” or “B Web&Call XL“ the connection speed is decreased to 128 kbps.